Many have contacted me two days ago and asked me to give a new weather update on the development of the Hurricane. I’ve waited another day to rely on more certain data on the path and the intensity of the storm. I have attached detailed weather information for all areas affected at the East Coast. 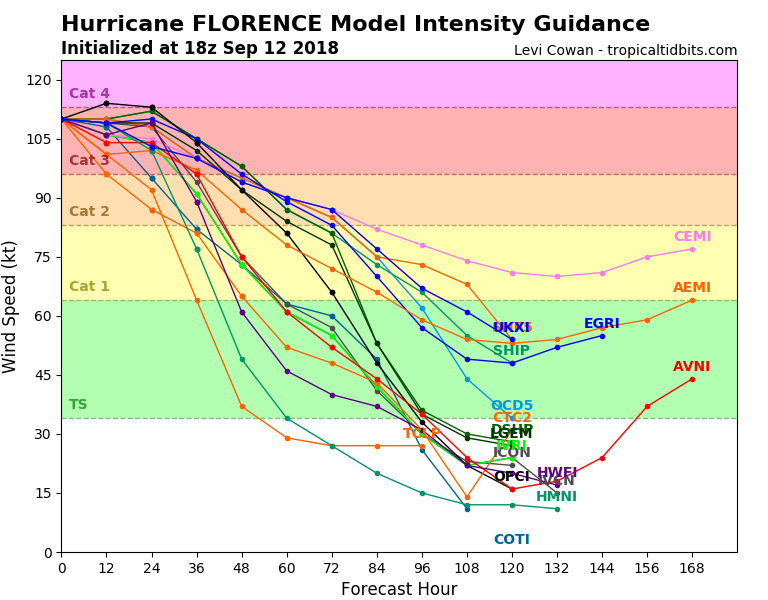 Florence will make landfall in the next 24h at the Carolina Coast. 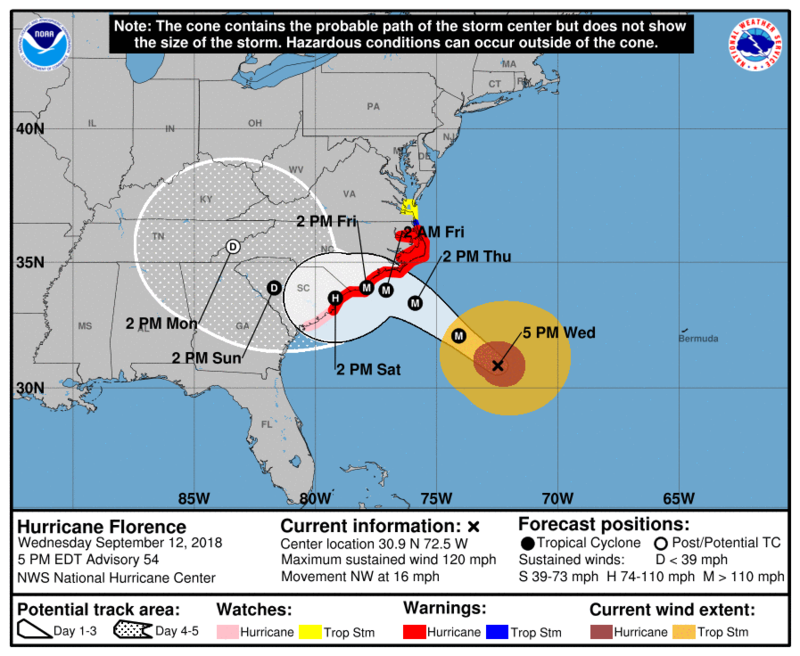 It is predicted then to move slowly down the coast, pretty much along I 95 towards SOUTH CAROLINA, before it will turn inwards as a Tropical Storm on Saturday afternoon. Prepare yourself, have enough food and water at home, have batteries, flashlights and a radio. Please visit our Disaster Information Center (https://ncdisaster.ces.ncsu.edu/) to gain updates and information on how to prepare for the incoming Hurricane. Please don’t lay any plastic! If your plastic is already laid, please go out AS SOON AS POSSIBLE and make sure that it is safe and secure, that no holes are present and that it is tight to the bed. If you haven’t, DO NOT PUNCH THE HOLES BEFORE THE HURRICANE. For those who planted for Fall: Make sure your plastic is secured all around. If you know you have areas with weak drainage in your field, try to open up a path for the water to flow out of the field. Make sure you don’t leave equipment in the field. Please stay safe over the next days and don’t hesitate to contact me or any of your county agents at any time.